Your business relies on your security infrastructure. Should problems arise, you require cost effective case resolution without obstacles. You need a team of highly skilled security engineers and technicians available 24x7x365 to provide rapid, expert support. 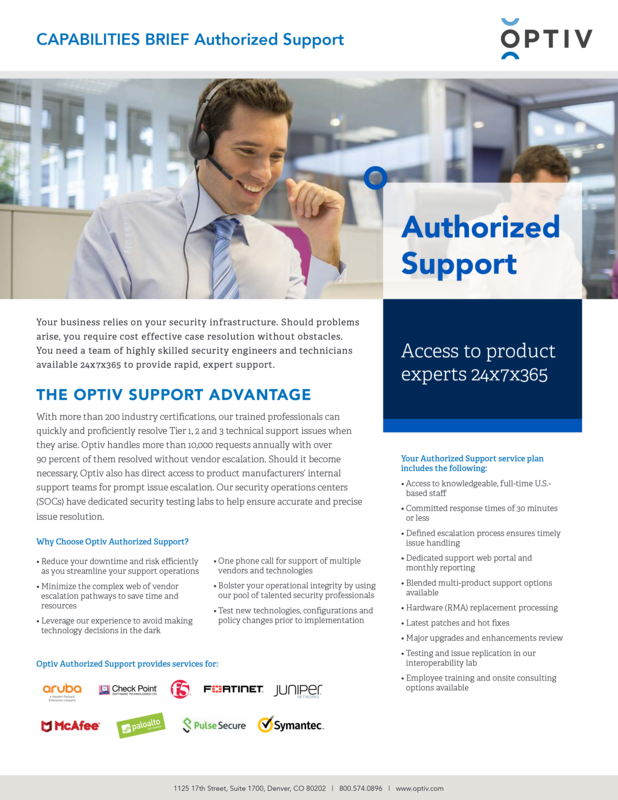 Learn how Optiv Authorized Support can help.